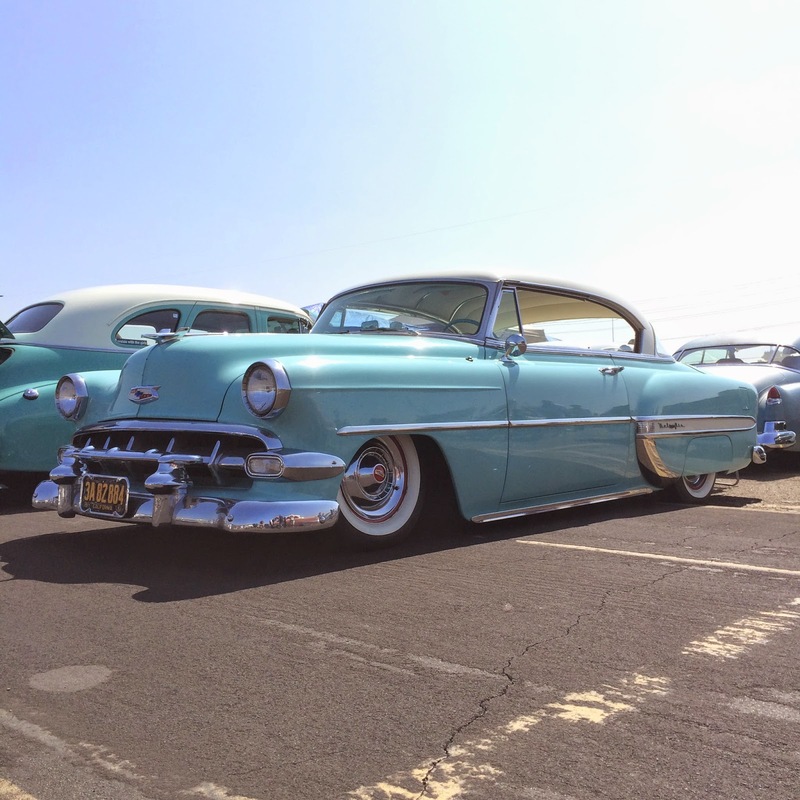 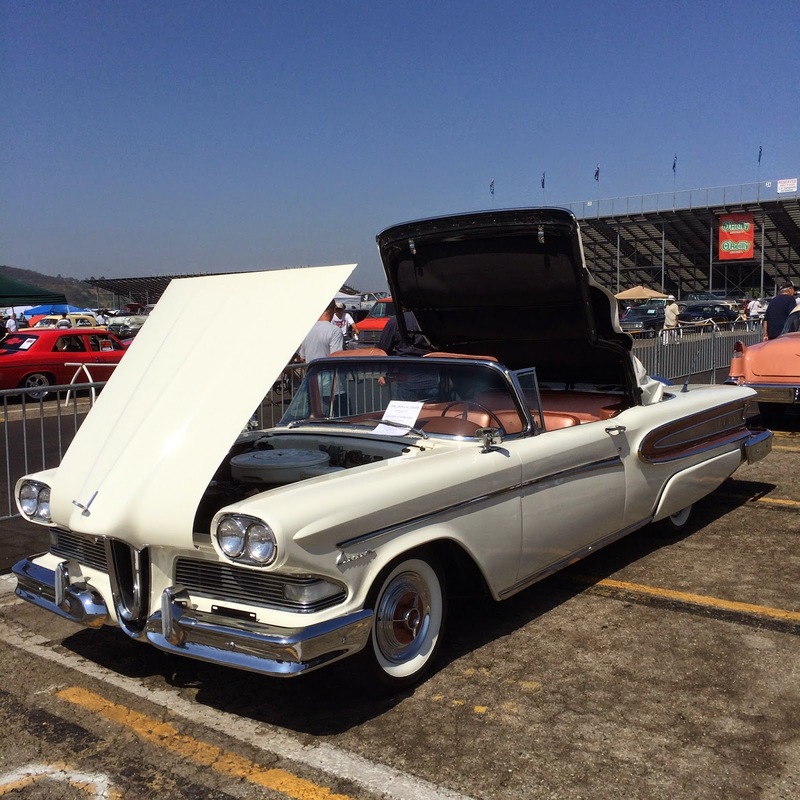 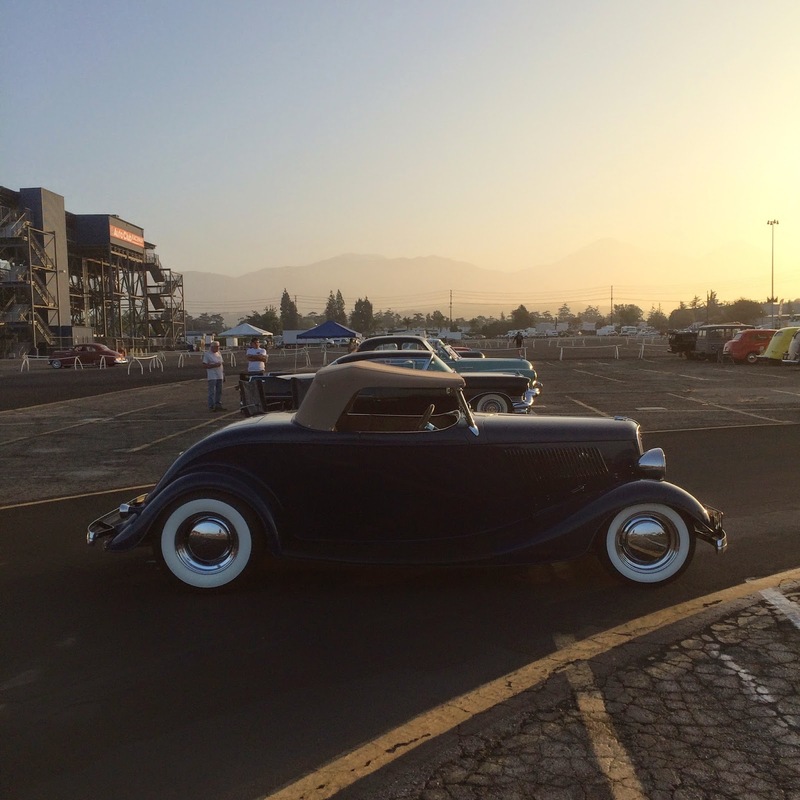 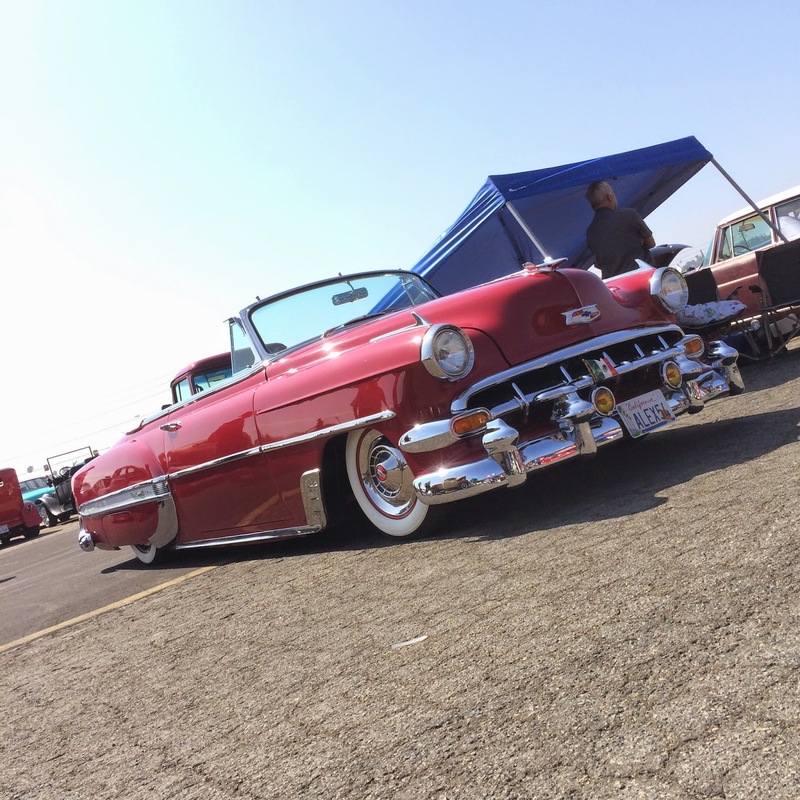 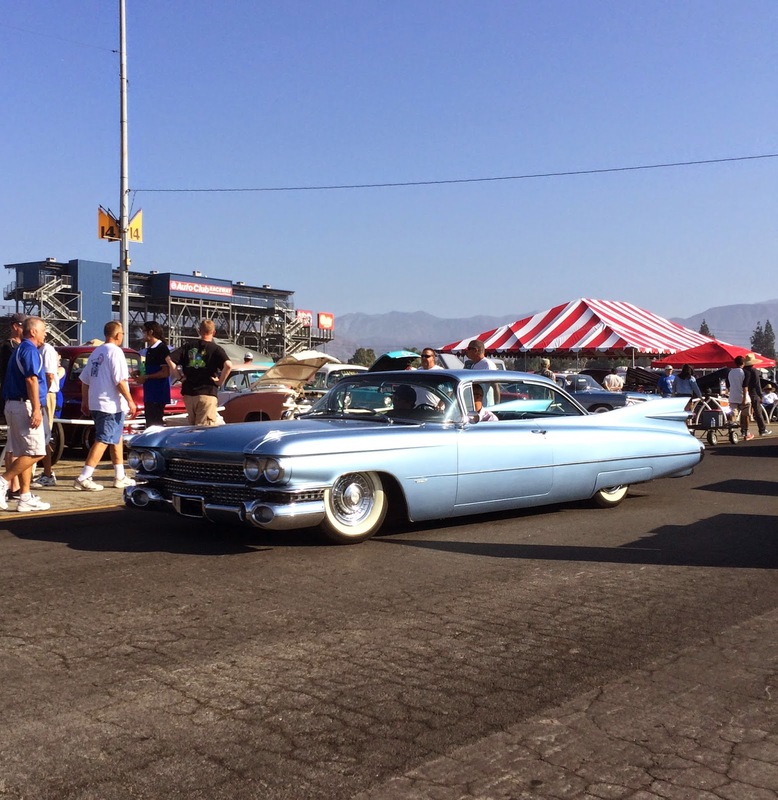 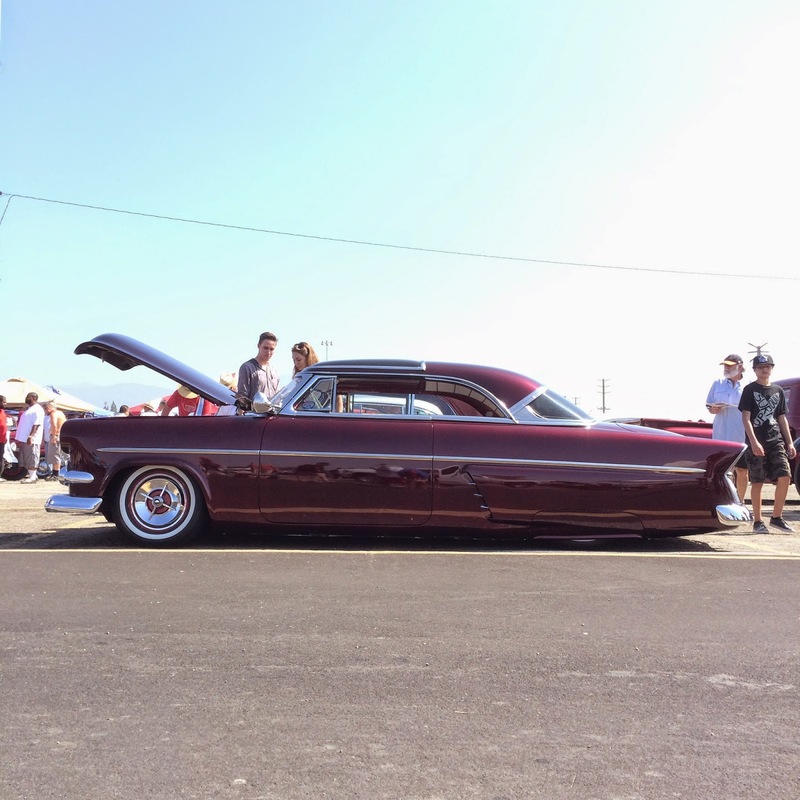 The California Car Cover Crew was at the August edition of the famous Pomona Swap Meet bright and early yesterday. 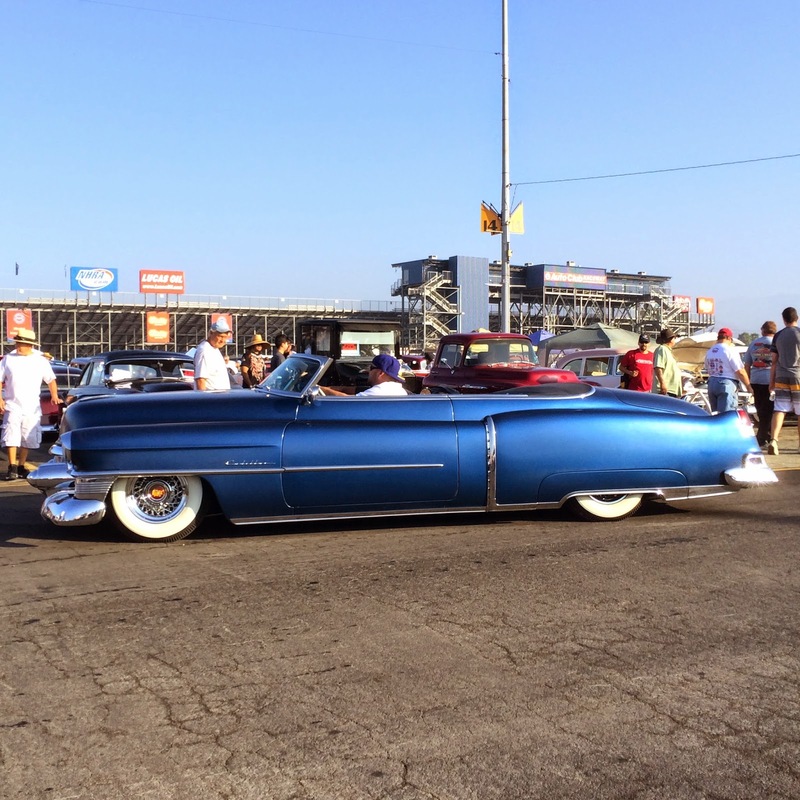 It was a packed house from open to close. 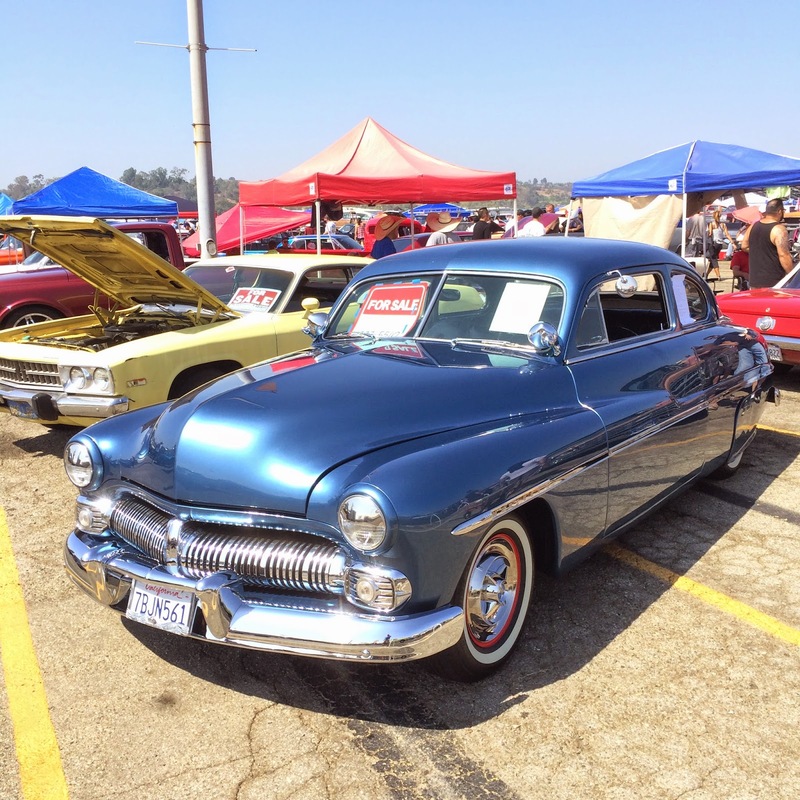 I did not get a lot of time to cruise the Pomona Fairplex, but here are some photos of the cool and unique vehicles I spotted at the show. 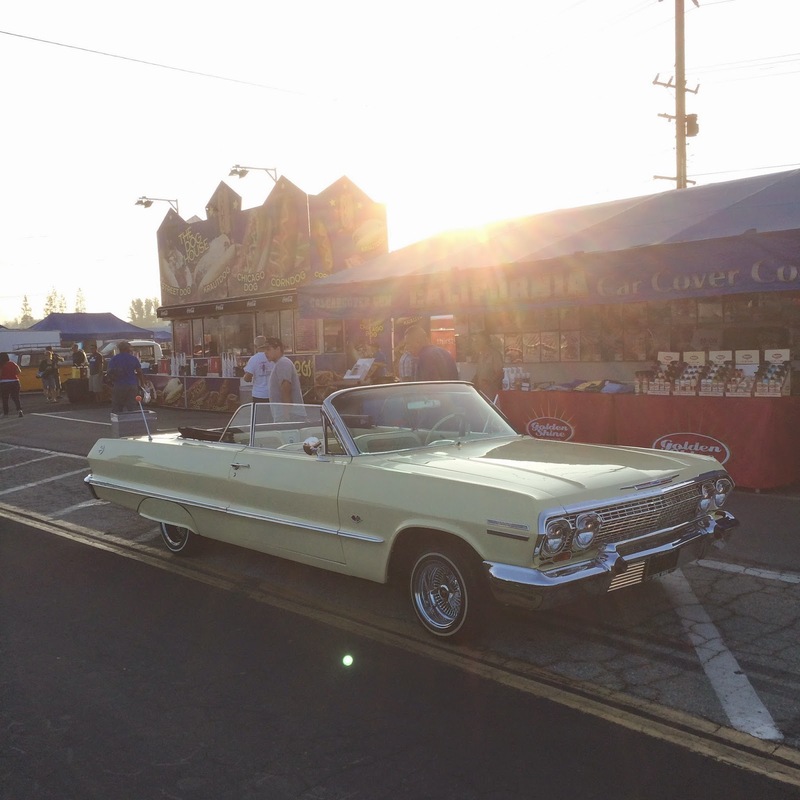 The sun was still rising as customers stopped by the California Car Cover booth to talk car care. 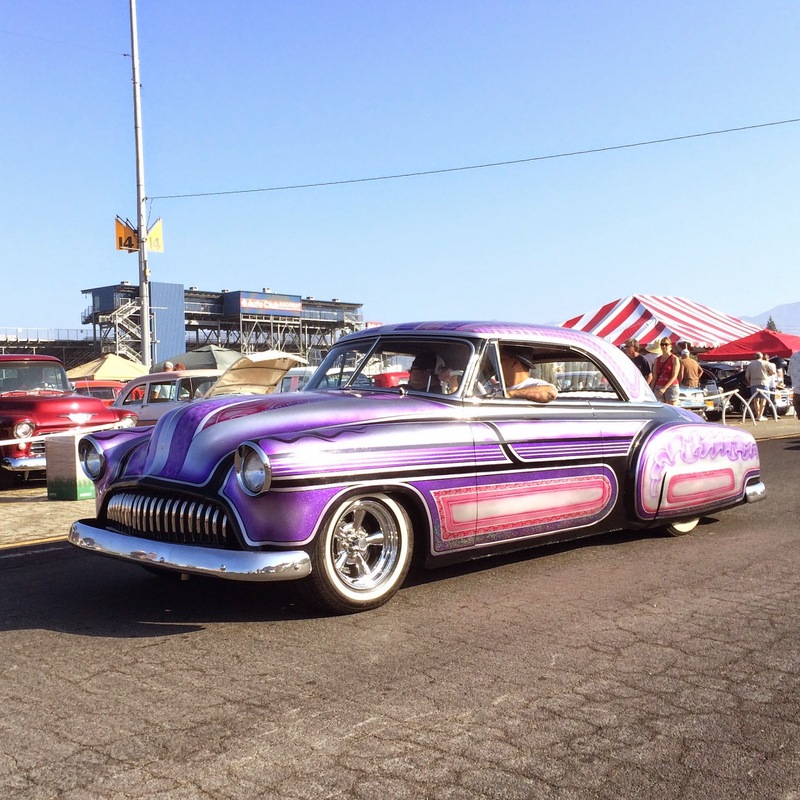 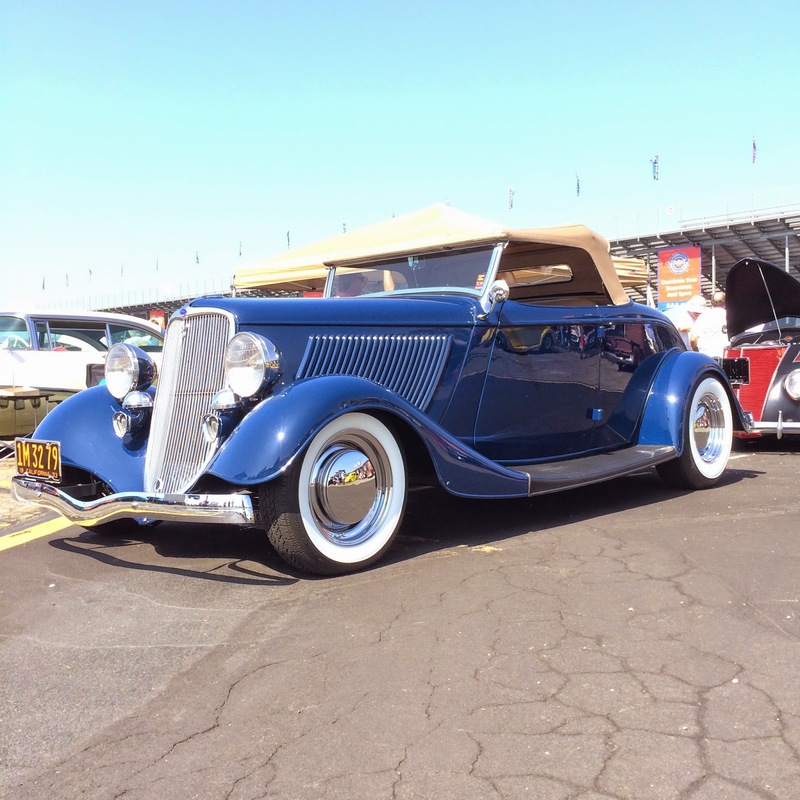 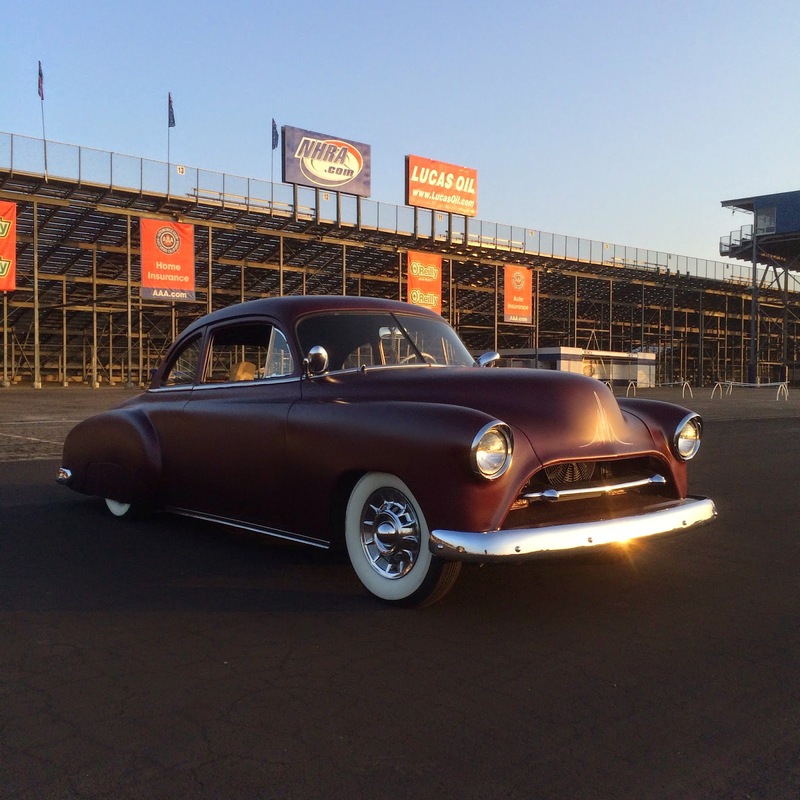 Being on the main aisle at Pomona means that I get to see all of the great classic cars, hot rods, lowriders and muscle cars as they enter and exit the Fairplex. 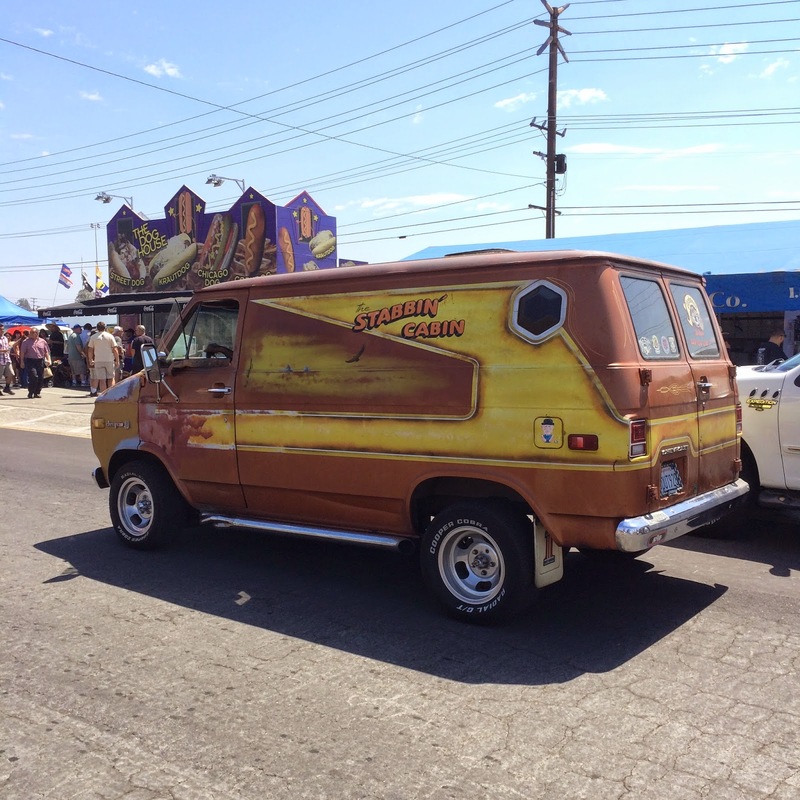 You can always count on a wide range of vehicles being driven around the Pomona Swap Meet. 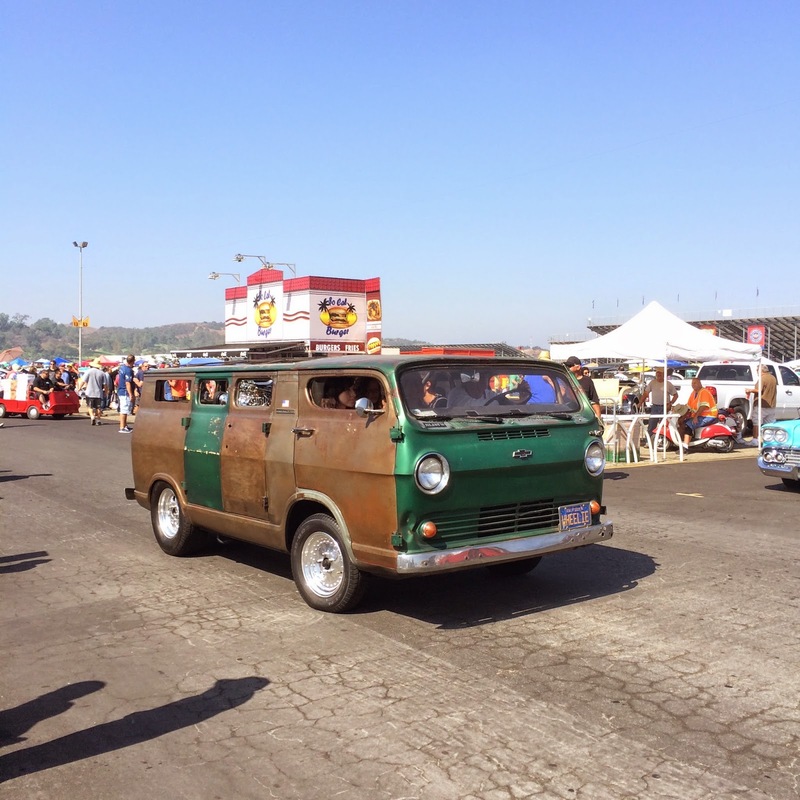 You might even see a rear engine van with a chopped top when you visit the Pomona Swap Meet! 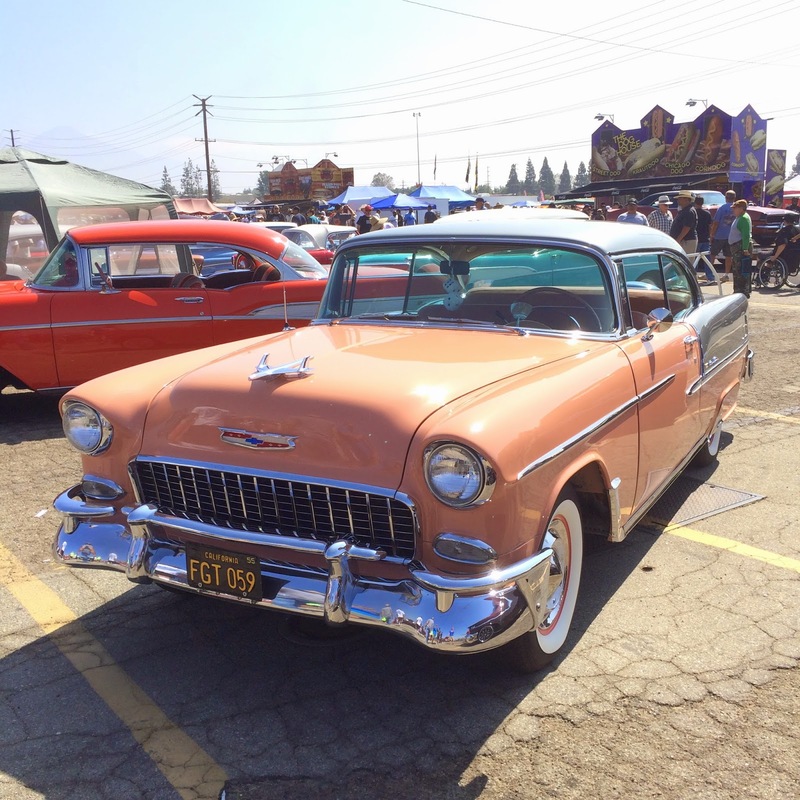 The Car Corral was packed with classic cars. 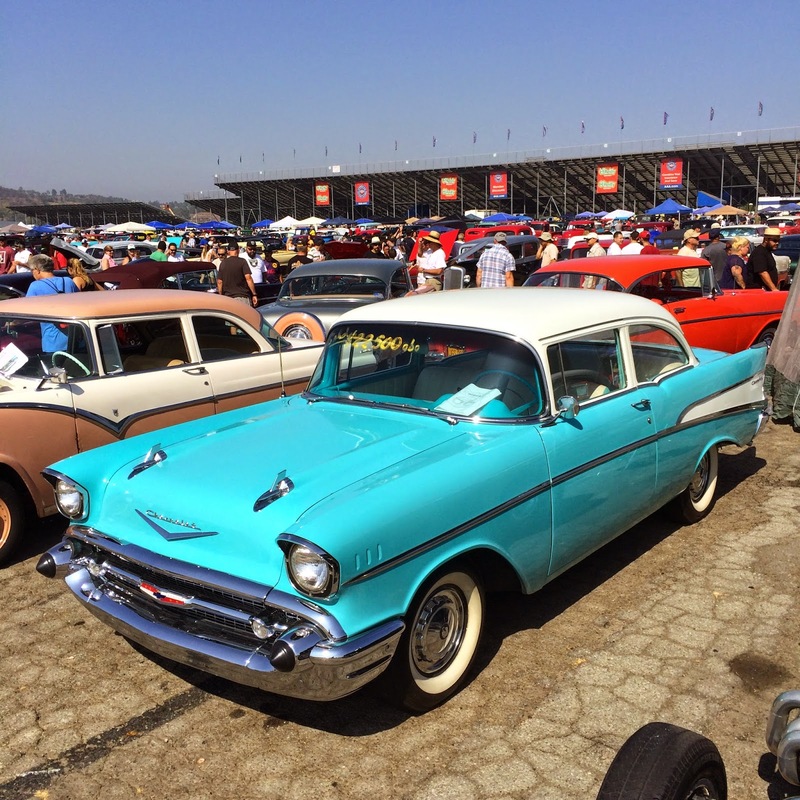 Whether you were looking for a finished vehicle, like this 1957 Chevy, or a project car there was something at the swap meet for you. 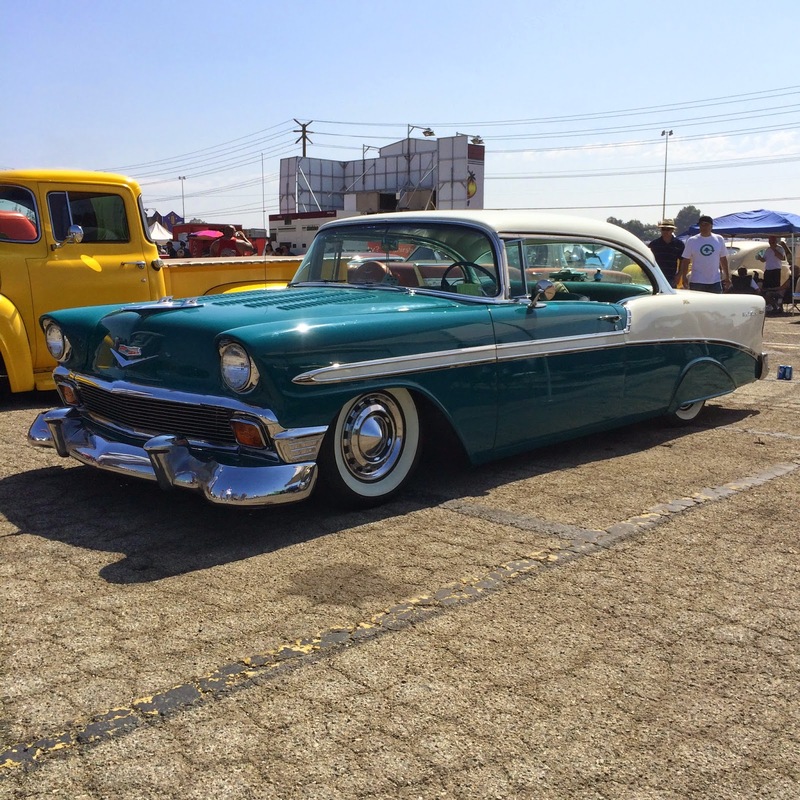 Nice 1955 Chevy with a Continental Kit in a unique color combination. 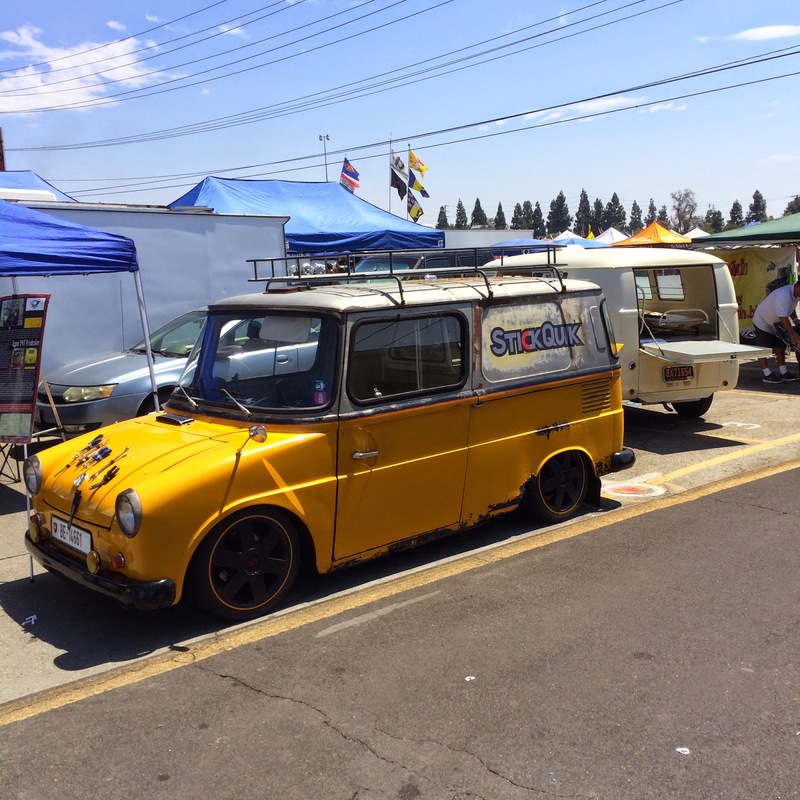 Our friends at StickQuik were on hand with their cool accessories and even cooler VWs. 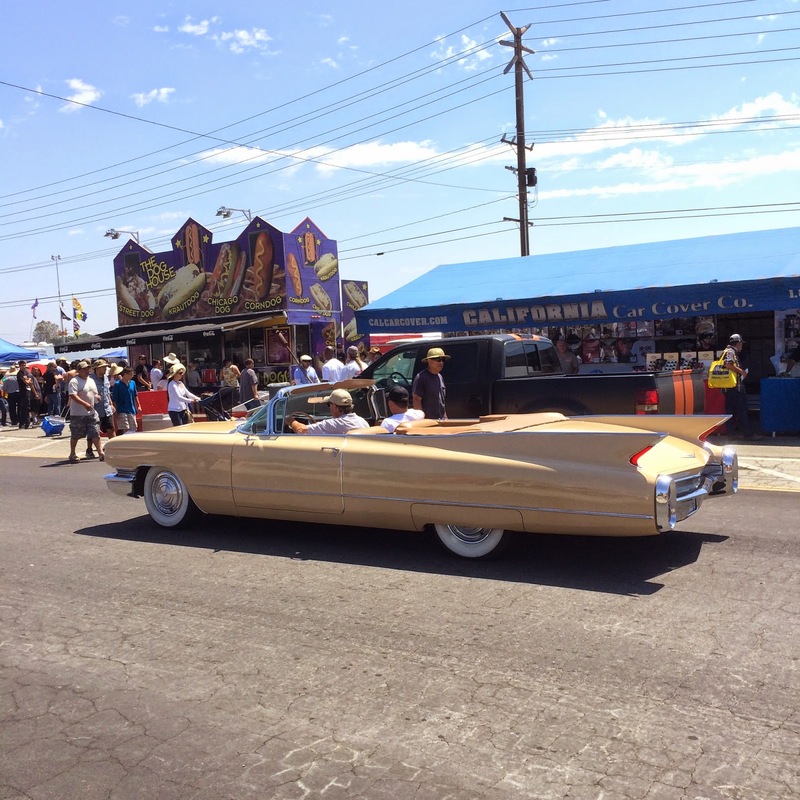 It was a top down kind of day at the Swap Meet. 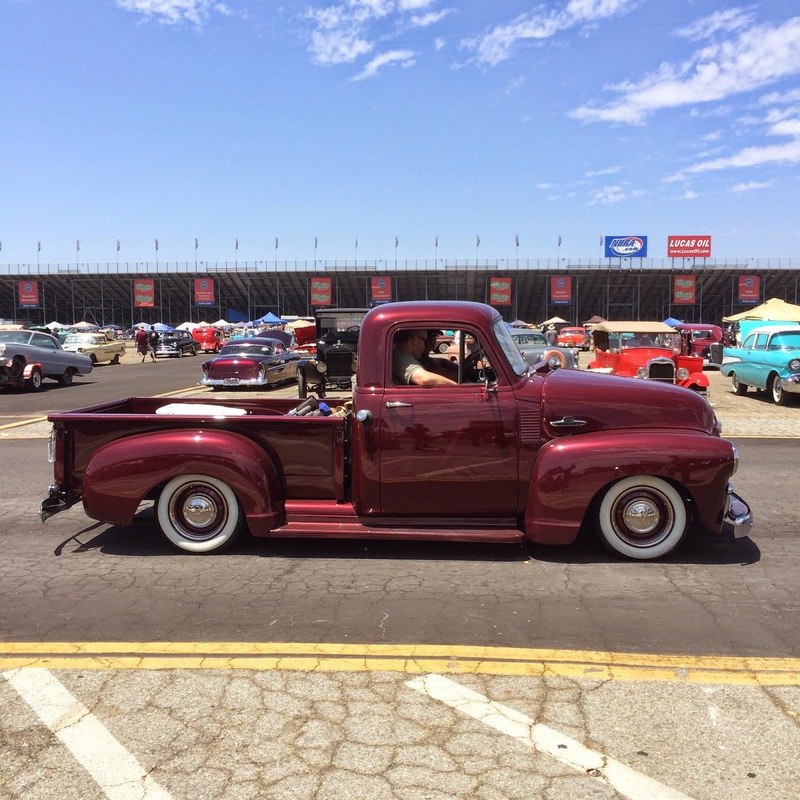 Great color blue on this Ford pickup. 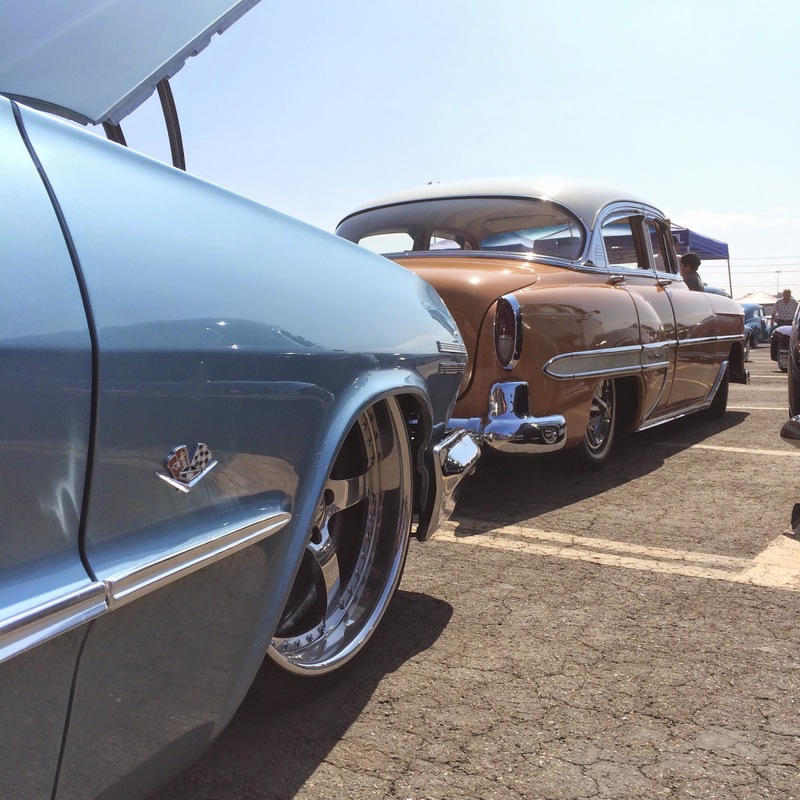 Relaxing in the shade Pomona style. 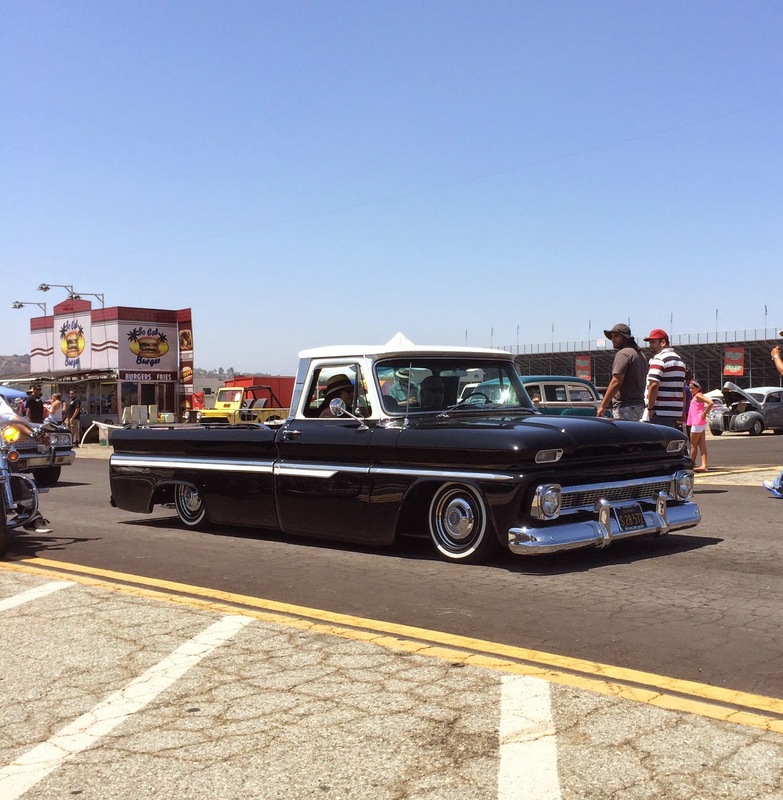 Long and low Chevy C-10. 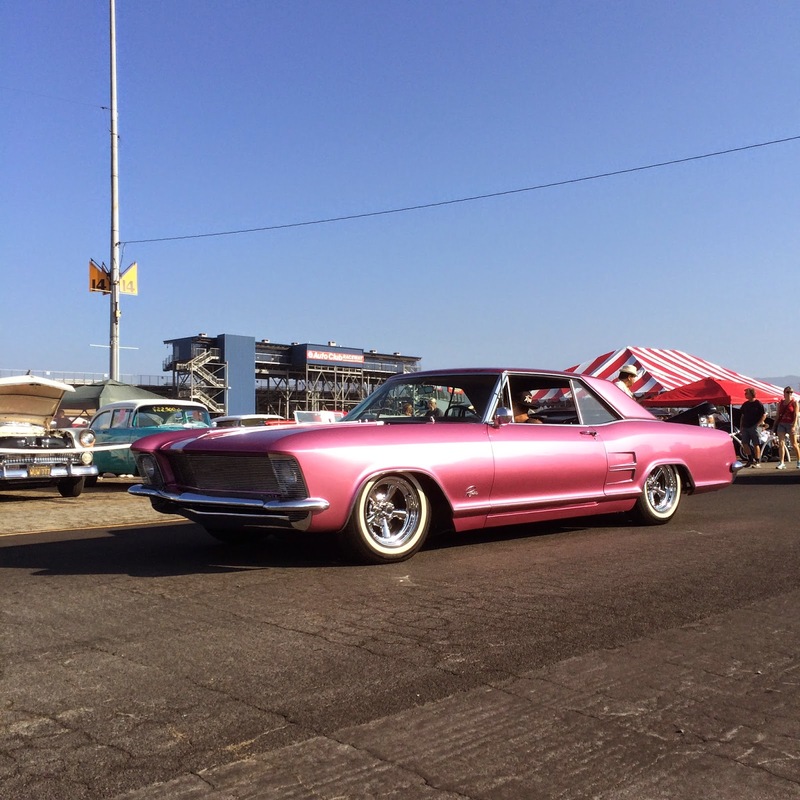 It was a great day at the Pomona Swap Meet. 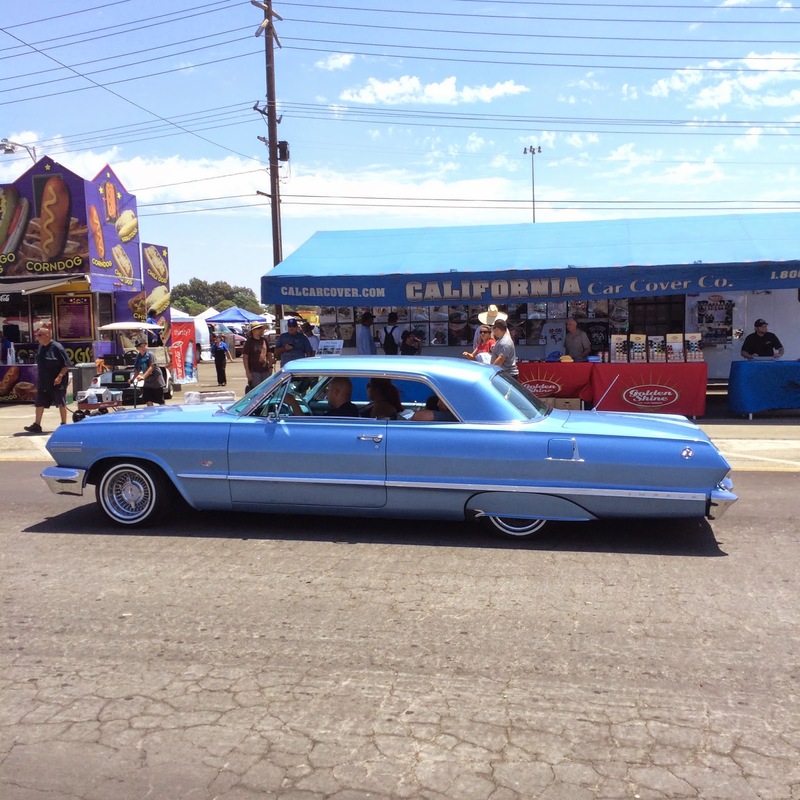 Thank you to everyone that stopped by our booths to talk car covers. 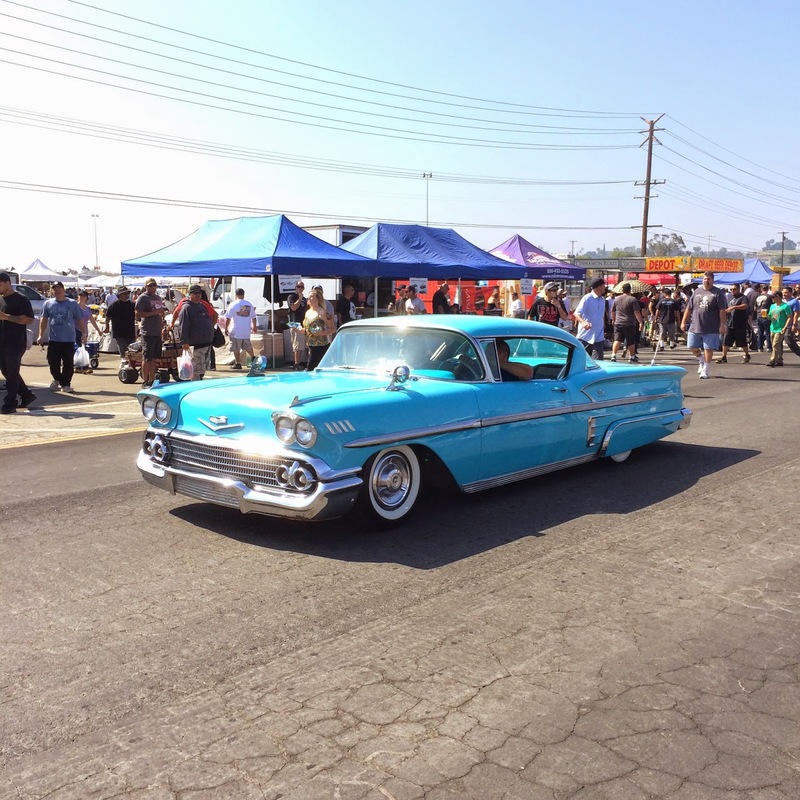 We will be back at the swap meet in October, so we hope to see you there. 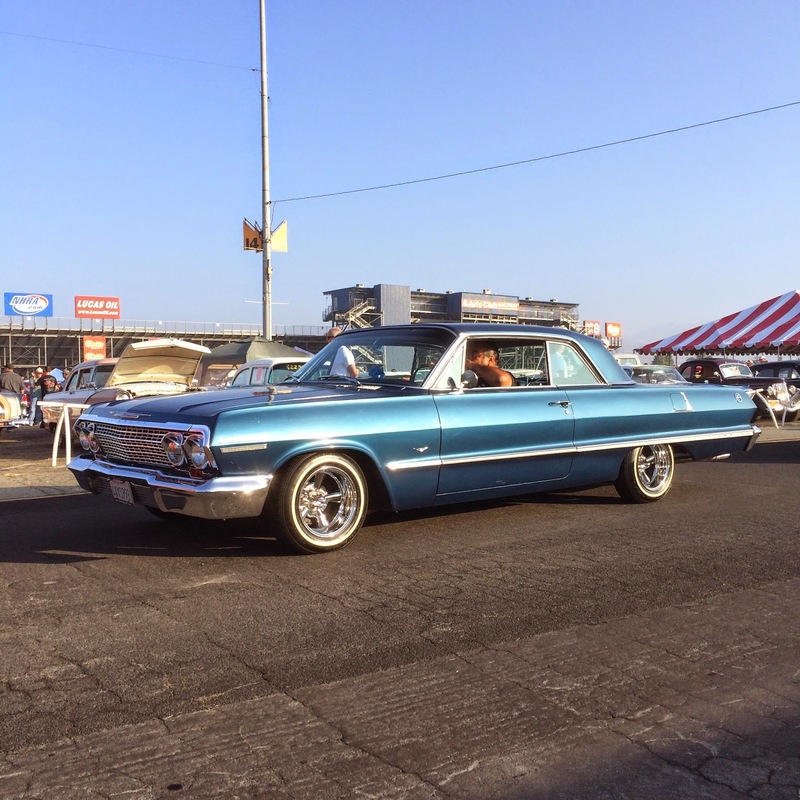 Check back in a few weeks for more coverage from our Annual Summer Cruise Night and the upcoming Goodguys Pleasanton Car Show.